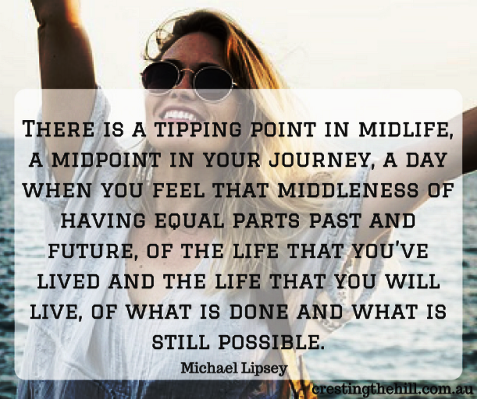 Have you ever thought about what Midlife actually signifies? I've been mulling it over lately and I've come to the conclusion that it's a very important milestone that a lot of us have reached and I'm wondering if we're truly appreciating this age and stage? So much has already been achieved, we've grown and matured, made and lost friends, lost and found love, travelled, had education and career opportunities, married (maybe divorced), parented children, and watched the next generation reach a lot of those markers too. So much water under the bridge and the question is "What's next for us?" We've reached that Midlife midway point where we realize we've passed the halfway mark and we're on the homeward stretch. It's not exactly the countdown to eternity, but there is a sense of not wasting any more time, of wanting to make the second half of life count and to live it in a way that feels authentic and has a purpose. To invest in who we are and the legacy we'd like to leave behind. When you pass 50 you realize (unless you're going to be waiting for your letter from the Queen to mark your big 100th birthday) that you've passed the halfway mark - crested the hill, so to speak, and now you're looking at where the downhill path is going to take you. It's about not wasting these precious years we have left - instead we need to be doing what we love with the people we love. What we invest in is different for each of us - for some it will be to see as much of the world as they possibly can (before their knees or hips give out and they can't climb on and off a plane anymore). For others it will be spending time with their families and creating bonds with their grandchildren. Or it will be the opportunity to finally learn a new language, or a musical instrument, or to knit, or sew, or craft. Then there's those who want to see as many shows and concerts as they can because they want to invest in the cultural experiences that are available to them now they don't need to find a babysitter. Others might want to climb mountains, or hike the Camino Trail, or jump out of airplanes - and there are probably a million other opportunities to be seized if we start looking at this as our time in the sun. I feel like this is such an important chunk of time - we've matured and gained knowledge (and hopefully some wisdom as well), the kids are off our hands (mostly), we're not scrimping and saving as much as we used to be (and there's less mouths to feed - our cats don't eat much at all!) We can make plans that only involve ourselves or our significant other - no more juggling with everyone as to what makes an acceptable holiday destination etc. We're still healthy and probably fitter than we were at 20 - because we appreciate the fact that we need to look after our bodies and don't take them for granted any more. So what are we going to do with these precious years? Do you have plans for yours? Are you investing in the people you love? 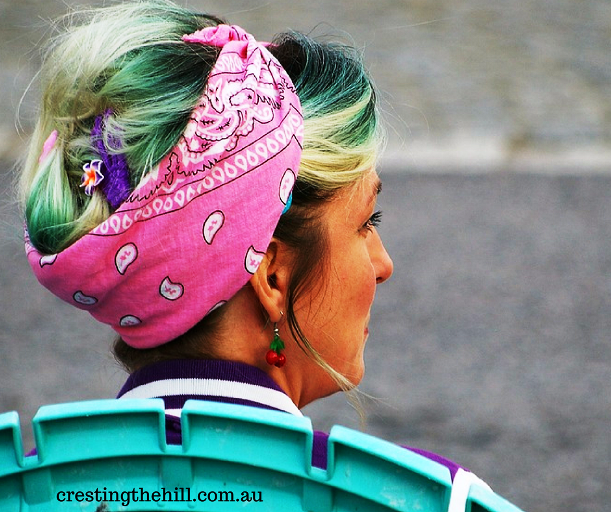 Are you living life to the full before the aches and pains slow you down? I want to be one of those people who have no regrets, but I'm a bit slow off the mark - I play it safe, but time is slipping by and maybe I need to start making some plans really soon! Life is short and I'd like to go out with a smile and to have a bucket list with lots ticked off - so maybe I need to make a start on that list now. Hi, Leanne - This is a very thought-provoking and timely post. I just read a comment (from Janis at Retirementally Challenged) in response to 'Retirement Tips'. Regarding retirement, she reminds us that we have dreamed of this time in our lives, longed for this gig, and saved for it financially the best that we could. Her advice was to embrace this stage guilt-free. I believe that Janis' suggestion is also true for midlife. We need to let ourselves enjoy this time without the self-imposed restraints that often hold us back. Great post! You are so right Donna - my husband and I are debt free and I still find that hard to believe at times because we've never had a lot of money - we've just been good stewards of what we've earned. Now is the time to relax and enjoy that - it's so nice to be able to work less and not stress about it because we worked hard to get here - it is indeed our time in the sun! So many Midlifers are using the Camino Trail as a celebration of this stage of life Jennifer - I don't see myself doing that hike any time soon, but at the same time we need to honour and celebrate where we are and have things to look forward to in the future - I just have to figure out what's next! I am. I really really am. I just started five months ago but I’m not stopping. Your life has certainly gone through some upheavals in the last five months Carla - and it's great to see you moving forward through them and being so positive. Enjoying my Midlife. I have just spent three years living my ideal life in a two-roomed tinned-roof house near a pristine beach in Zanzibar, East Africa. September last year I walked 729 km of The Camino de Santiago in Spain and did my first (and last) tandem parachute jump. Who knows what is next! I'm in my 60's now and I agree with you...I want to do as much as I can before the body slows me down! It's starting to talk to me every day now, and I am trying to take care of it so I can enjoy many more active years. Thanks for a great post. I can feel my joints telling me I'm not 20 any more Candi - and there have been a few other reminders - but at the same time I'm still pretty hale and healthy and want to make the most of this stage of life - I just need to figure out the best way to do that. Great post. My husband and I discuss how do we balance saving $ for retirement, yet still take vacations NOW because we don't know how much longer we'll be able to hike, travel, etc. I know so many older people who keep putting things off for when they have more $ but then they get sick or immobile and can't do anything anyway. Travel is so expensive for Australians Amy - we have to go so far to get anywhere and that adds $$ to everything. I'm always weighing up what's worth investing in now and what can wait a few more years - once we retire we could do long haul trips for lengthier stays to make it worthwhile - but I don't want to delay everything! This made me laugh as I have been here recently. I started a second career as an artist three years ago. Recently the hairdresser and I agreed a new look (teal colour highlights in my hair with glasses to match LOL). He said it was more fitting for an artist. In reality though it has made me look and feel younger. I was starting to see my Grandmother looking back at me from the mirror in the morning! Dorothy I SO want to see those teal highlights - mine are purple atm and I love the extra bit of colour it gives me. I feel a bit old and washed out when I don't add colour to my hair and clothes. And I also SO wish I was artistic! I'm definitely going to have to do some work in that area. Yes. My husband and I are on a creative spree. Having the time to do art. We always traveled unlike many who couldn't until retirement so we are more home bodies than ever and I love it! I wish I was more arty Haralee - it seems like such a great way to diversify in Midlife - to spend some of that time I've gained from working less. I just have to figure out what takes my fancy and invest some time in getting to do it well. I sense a bit of panic here—I can see that you are all a LOT younger than I am! Once you pass 70, you will reach a different stage, and be more accepting of the fact that time is going so fast. I have long ago given up on goals and bucket lists, and it feels so much better! Stay healthy, and the rest will look after itself! I don't think it's panic so much as a realization that now is such a special time of life Diane. I think I've finally come up for air after decades of doing stuff for others and now I want to use the time I have wisely - I don't have a bucket list but I would like to have some goals to aim for - I just have to work out what rings my bells! I don't know how well I am making the most of midlife but I am trying. That counts, right? Going to try pushing myself by doing something out of my comfort zone at least once a week. And then blogging about my activities. Trying to keep moss from growing on my northside! I'd be happy finding one new thing a month to blog about Leslie - I'm not sure what you have planned but I'll be following along for inspiration! My husband is 80 and I am 76 and our hips and knees are just fine..."(before their knees or hips give out and they can't climb on and off a plane anymore)". I am very grateful. I agree that you should live life as it goes along. Take a trip or learn something new every day. While we were working we make three day weekends a vacation and we loved that rhythm of life. Don't wait till midlife to enjoy. Now that we have been retired over 20 years, we look back and see that we have lived the lifestyle we live now all of our married life. It is good. I think you'd be inspirational to a lot of 70+ year olds Barbara - a lot of people I know over 75 have knees that are causing them grief, or lining up for hip replacements, or popping arthritis pills. I hope I get to be like you and your husband and still going strong and living life to the full when I'm in retirement. Well I'm trying to make the most of it all Leanne and think I'm succeeding so far. Finding bloggers like you, Donna and Debbie for example keep me motivated to enjoy retirement and make the most of life. I'm enjoying spending time with Ethan and soon a new grandbaby plus travelling and seeing the world. I don't have too much to complain about and we should ponder what we are doing with our lives after 60 especially as there is less life left so we need to make the most of it! I think you've found the perfect balance in your life Sue - husband, time on the coast, a grandbaby (or two! ), overseas travel, blogging, all your healthy stuff - you are such a great example of getting this stage of life just right. Such a great question, Leanne!! We still have so much to give to people and society. And yet, I'm also ready to slow down and not be rushing around so much!! I'm much the same Jodie - I think for me, cutting down on my work days has given me the time I need to slow down a little and enjoy the ride. I'm so glad we can afford to do that and not be worrying about paying the bills. Another interesting question Leanne, and one which I find difficult to answer. There is so much I still want to do, but prioritising is the question and not falling into the trap of analysis paralysis! We've been lucky to travel lots with work, but there is much still I'd like to see on holiday. I'd like to do do more yoga and pilates and exercise in general, and write write write, and see more of my kids and my mum, and do more cycling with my hubby and just more with him in general as we get older. So Much To Do and so little time! I think having a to-do list means that you're fully engaged in life Jo - having so many things to look forward to means that this stage of life is busy and fruitful - you can't ask for more than that can you? Great post, Leanne! I've been making the most of it and I'm satisfied with what I've got going so far. My plans focus on my health, family, friends, and fun which includes arts, entertainment, social activities, and travels. I am actually changing my life up here in two months but it is part of not falling into paralysis of life. I am changing jobs. I would rather be happy and make a less money than be where I am at when the politics of the place (and the B.S.) makes me depressed everyday going to work. I think it's great that you're choosing quality of life over the big bucks Patrick - life is getting shorter and to spend a chunk of it doing something you hate is definitely not the way to go. I think now is definitely the time to focus on what is important to us and to make time for those things. I don't feel that I am making the most of my life at the moment. I'd like to travel more. I'd like to move house to somewhere more peaceful, less suburban and more surrounded in nature. I'd like to be doing more with my photography. I'd like to be doing some yoga in addition to my pilates and improve on how often I walk. I'd like to dabble in some art. I had an artistic flair once and I want to explore that again. And of course, I want to continue and improve my blog! My problem is that there are not enough hours in the day! Min, the fact that you have so many plans and so many things you'd like to achieve means you are well on the way to making the most of Midlife. I wish I had so many things I'd like to do - I seem a bit stuck atm - I'm having trouble coming up with a bucket list - yours is full! And I SO wish I was arty! I am just entering the Mid Life Season and happy to say that I have followed a dream and moved abroad. We started a new business and I am learning a new language. I can only imagine the things that we will do over the next several years! 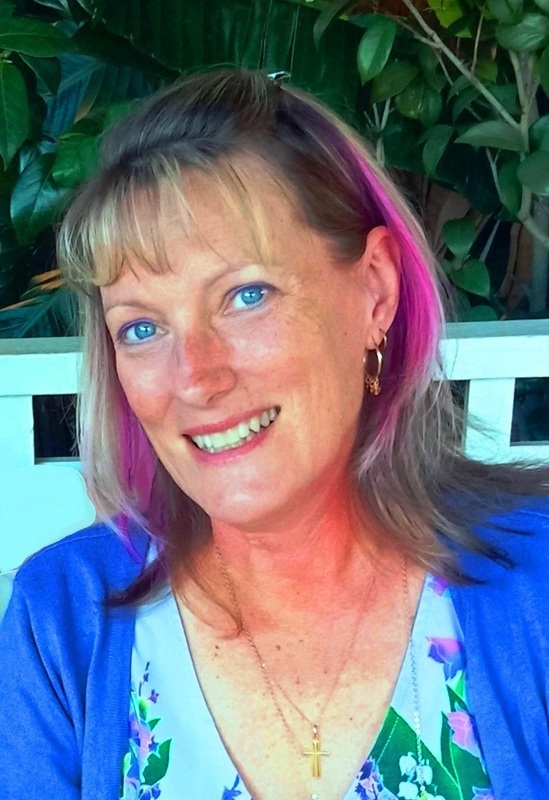 I love your blog and reading about your adventures in Germany Cherie - you are an absolute inspiration for someone who has tackled life head on and not been daunted by challenges - you go girl! Thanks for sharing your thoughts on this important topic, Leanne. It is freeing to realize that this second half of life can look however we want it to. Too often we think in terms of what "should" I be doing rather than what "can" I be doing? What do I want to do? I'm not exactly sure what comes next for me, but I know I want it to be intentional. I love the Ellen Degeneres quote that downhill is good. You've finished the hard part and there are going to be snacks! 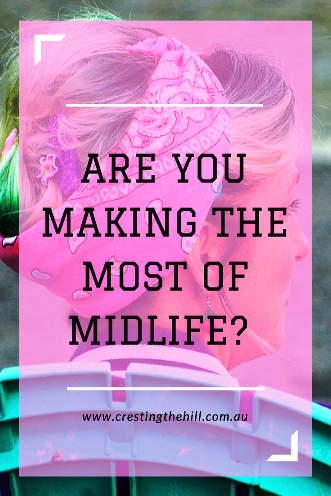 I'm sure there are difficulties to come--that's life--but I do believe that midlife is for enjoying the hard work you put in during the early years of adulthood. Have a fantastic day! Hi Christie - I think you're absolutely right about enjoying the downhill journey - I have worked really hard to be where I am today and now I'm investing some time in working out who I am and what I want to be into the future - it's lovely to have the time and headspace to be able to do that - and to be encouraged along the way by the lovely bloggers I've met over the last few years. Well, we have to feature this post it is thought provoking. I am well past the so called 'middle'. We decided that we want to make the second half even better than the first. We are over travel and love being home. We look after our health (wish we had done that years ago) but thats OK. We find it important to look out for each other and to never stop learning or dreaming and doing.